What a great idea… Treemote. 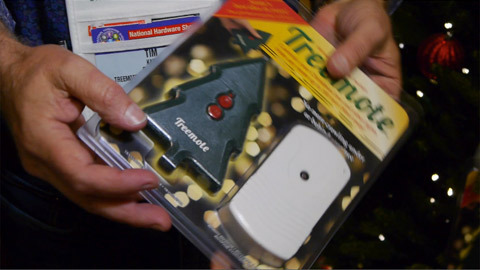 You’ll never again have to crawl under the Christmas tree to turn on those lights. Treemote Partner & Co-Founder, Tim Kane says, “You have to believe in your product,” Kane said when we asked him for any advice on getting products to market. And he added, “You have to work really hard!” Congratulations on Treemote, Tim, Martin… we love it! We look forward to seeing it in all the major retailers as well as for purchase on TV – all the best! 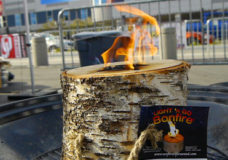 VIDEO: Trust the Vikings, Burn a Light N' Go Bonfire Log! Worx SD Semiautomatic Cordless Driver Review: Gets the Job Done!